All photos courtesy of Brianne Conley. 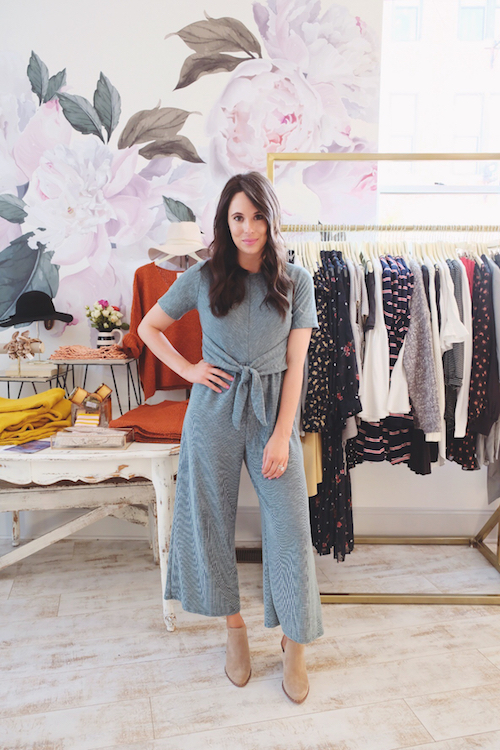 In 2014, the very stylish Brianne Conley opened No.14 to bring affordable contemporary women’s clothing to the Pittsburgh retail scene. A Wexford native, Brianne lives close to the chic boutique in a renovated Lawrenceville row house with her husband Eric. 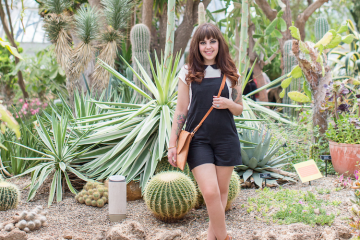 You can keep up with Brianne and all things cool and fashion-worthy via her blog, Just A Girl Boss, where she updates us on everything from her favorite clothes to tackling a crazy schedule. She rocks Instagram stories, too, @No.14boutique. I am a sucker for weddings so I am really excited to see some of my friends get married this spring. I’m also really looking forward to our GALentine’s Day event at No.14 that we are hosting in two weeks. The people I get to work with every day. I love our team at No.14; we have become a family. We all work really hard to make that little place operate and it takes a lot more than you’d think. Additionally, my clients have become our friends. We see them repeatedly and get to know their stories; it is fun to do life with them. Having been open four-and-a-half years now, we’ve been privy to a bunch of our clients’ engagements, weddings and now pregnancies/babies and, it is so fun to be part of those life moments with them. I love the development that has gone through Pittsburgh in the last 10 years, but I also never want the city to lose its “Pittsburgh-ness.” This city is so unique. It was built by proud, hardworking people and I want for it to continue to evolve while remaining true to itself. I have high hopes it will continue to do so. Why should women shop local instead of on the Internet? Because you get to interact with a real person who is genuinely connected to the product. Having been open for more than four years now, we feel we know exactly who the No.14 girl is and we shop specifically for her. Our product is curated to that specific woman, because we know her; we interact with her every single day at the store. Each of us working at the store genuinely cares about our clients and has great relationships with them. It’s a much more personal experience than a big box store or website. Why Lawrenceville for the location of No. 14? It was somewhat of a no-brainer. When I was in college in North Carolina, Lawrenceville was starting to pick up. I would come home for the holidays and venture down to Lawrenceville and the Strip and note how much development and evolution there was on Butler Street. My parents (who are my landlords) saw an opportunity to invest in the booming area in 2014. They were interested in purchasing property as an investment opportunity knowing that they would have a first floor retail tenant (me!). We didn’t look at many other places; we just figured we’d try our best to be in the most evolving area of the city and we are THRILLED to be here. We absolutely love Lawrenceville and the community that comes with it. Which Pittsburgh Food Truck do you want parked outside your house? Millie’s — always. I get one scoop of vanilla and one scoop of the best chocolate and add crushed cone on top — a game changer. Penn Avenue Fish Company in the Strip. Hands-down the best food in the city. It’s time to unwind, where do you go? The lake. My parents have a lake house about one hour outside of Pittsburgh. It’s in the middle of nowhere; we don’t have cable or Wi-fi or a TV. I can choose to work on a hotspot or I can just totally unwind and read a book. Read more about Brianne and her shop here.